1 Dissolve the hondashi powder with mitsukan vinegar, sugar and salt into pot. 2 Mix well Japanese rice with vinegar, and set aside. 3 Lay nori seaweeds on board, fill with kani, cucumber, mango, carrots and takuan. 4 Roll over and tighten, then remove the bamboo matt, and cut into bite size portions. 5 Garnish with carrots and pumpkin. 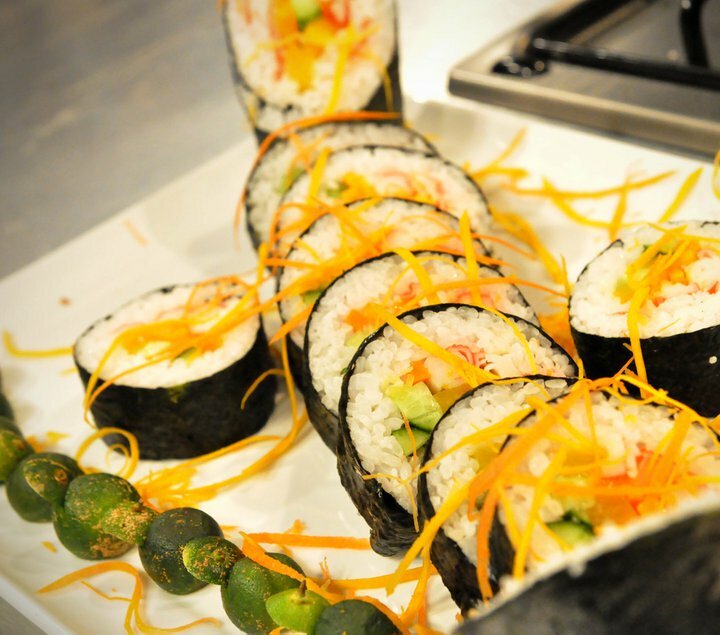 Serve with wasabi and Japanese soy sauce and kalamansi.